Bling out your dad (or your baby's daddy, or your main squeeze who happens to be a dad) in some Native-made gear. Here's 7 cool gift ideas that range from bracelets to tees to belt buckles to bandanas, and range in price from a slick $25 to a more handsome $1,100. 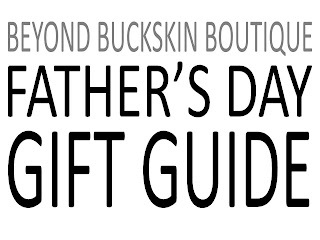 For more gift ideas, check out the Father's Day section on the Beyond Buckskin Boutique site. 1. Metal Mania Men’s Bracelet, by TSOul (Navajo), $37. This Men's Bracelet was designed by the brother and sister team TSOul. Drawing on their heritage and the colors of the Southwest, the Navajo duo creates cool beaded jewelry in various forms. 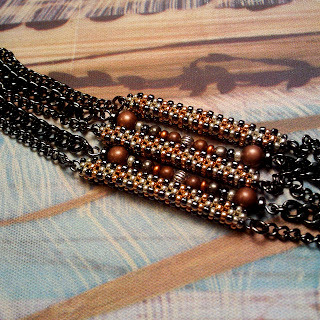 This metal bracelet features three beaded Navajo bars made using size 11 and 8 seed beads in copper, silverplated and hematite. 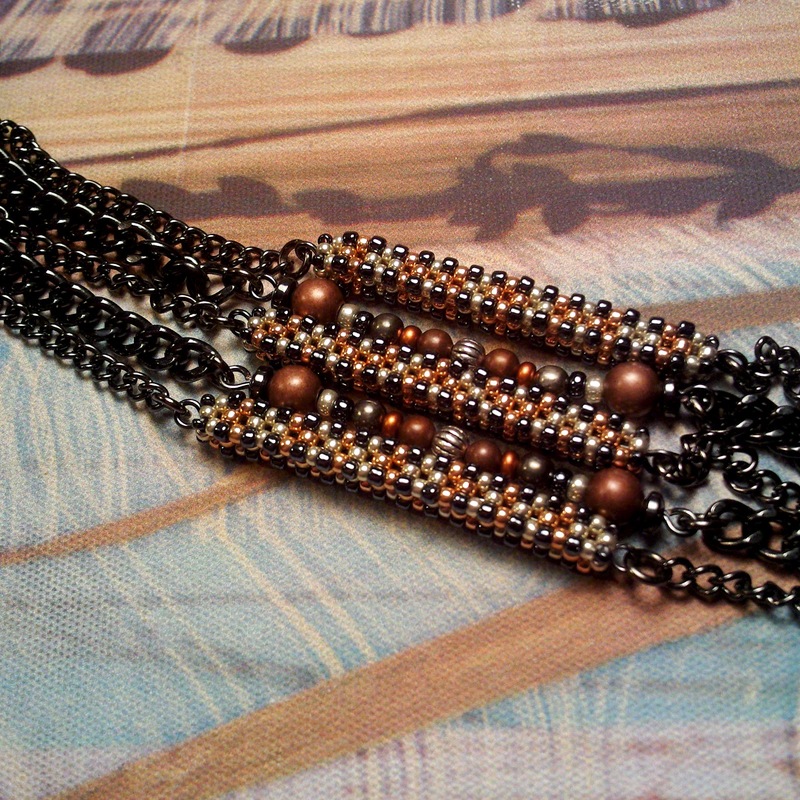 Metal accent beads are strung between each bar with different gunmetal chains for the base of the bracelet. It has a copper lobster claw closure, and measures 8.25" long. 2. 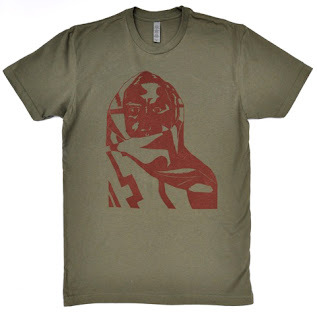 Lone Resistance Tee, by Dustin Martin (Navajo) of S.O.L.O., $30. This tee was designed by Navajo artist Dustin Martin for his company S.O.L.O. (Sovereign. Original. Land. Owners.). 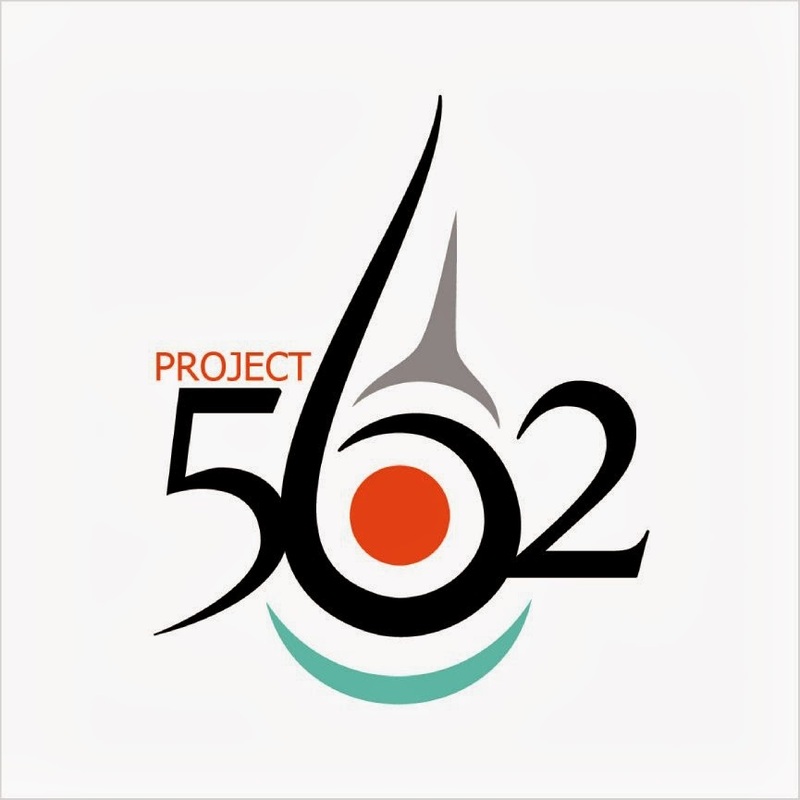 Inspired by the work of Laura Gilpin and her 1968 photo essay The Enduring Navajo, this design is meant to give survival a face. Cloaked in a robe of history and cultural pride, Sovereign Original Land Owners forge toward the future while remembering the wisdom of their ancestors. This tee features a Gallup Red design on a Juniper Green shirt. The tee is 100% combed cotton, jersey knit, unisex athletic fit, with a tear-away tag. 3. Nashdoitsoh Bitsiiji Dahditl’ooigii (Lion) Belt Buckle, by David Sloan (Navajo), $550. 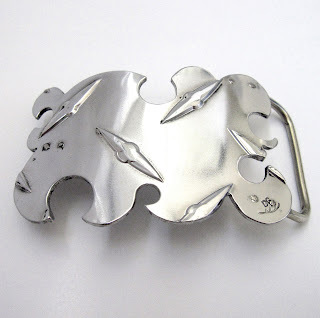 This cool sterling silver belt buckle was made by Navajo artist David Sloan and is fabricated from a found object using the lost cast technique. It features a central lion figure and the Navajo words Nashdoitsoh Bitsiiji Dahditl'ooigii (Lion). It measures 2.75" x 1.75" x .75." 4. Ye’ii Tee, by Dustin Martin (Navajo) of S.O.L.O., $30. 5. Longliner Cuff, by Nicholas Galanin (Tlingit/Aleut), $1,100. 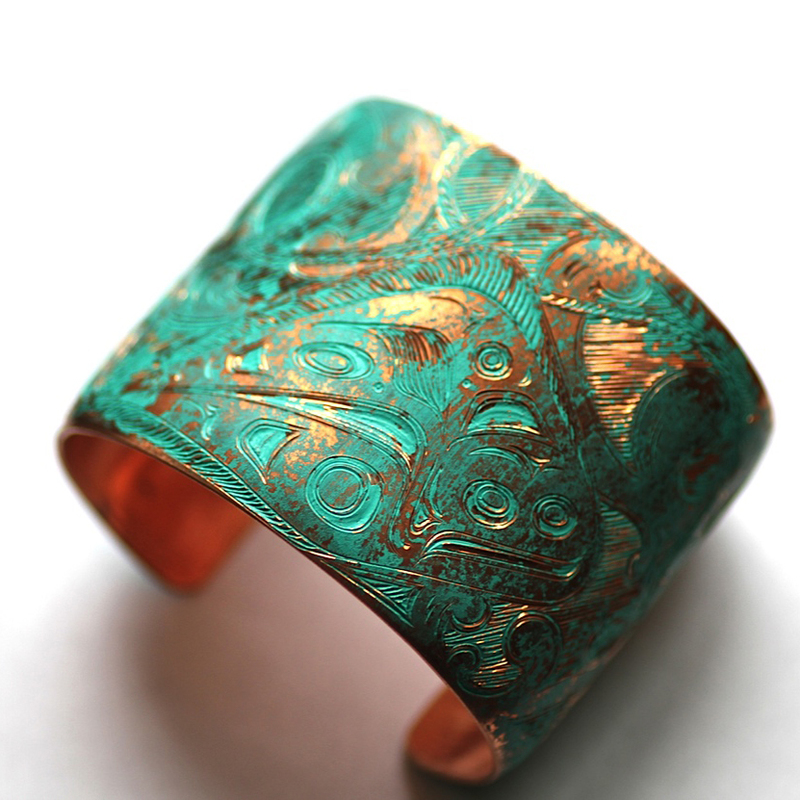 This engraved copper bracelet was made by acclaimed artist Nicholas Galanin (Tlingit/Aleut). 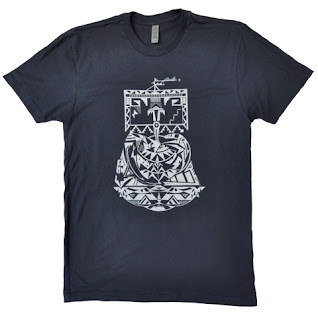 It features an image of a halibut fish and the longlining gear used to catch the fish. The bracelet measures 2" x 6". 6. Eagle Carrying Corn Bandana, by David Sloan (Navajo), $25. 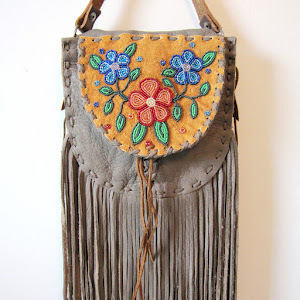 If I had a Navajo grandpa, he would sooo be getting this for Father's Day. These bandanas feature a unique design made by Navajo painter and jeweler David Sloan. 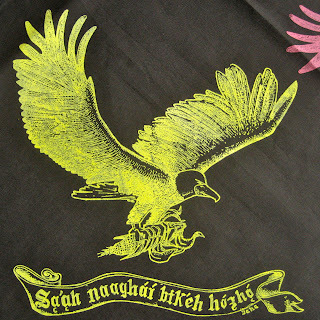 Four eagles who carry corn in their talons are silkscreened in four different colors (blue, teal, pink, and yellow) in each of the corners of the bandana. Below the eagle is a banner that reads, "Sa'ah naaghai bik'eh hozho," which is the Diné traditional living system and places Diné life in harmony with the natural world and the universe. The bandanas measure 20" x 20." 7. Flame Buckle, by David Gaussoin (Navajo), $215. 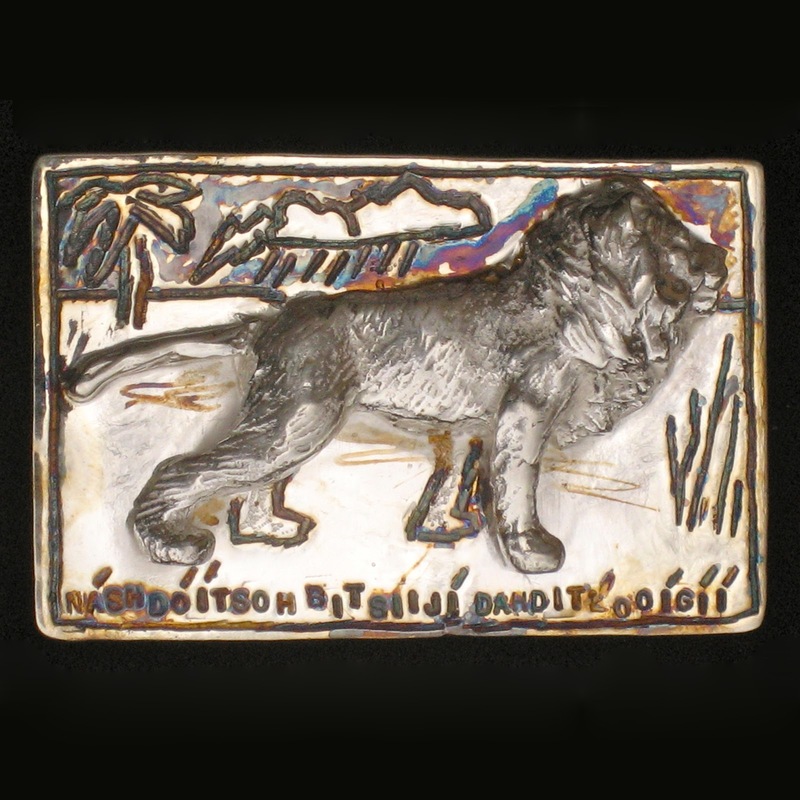 This belt buckle was made with diamond metal plate aluminum by award-winning artist David Gaussoin. Gaussoin comes from a long line of artists, including silversmiths, painters, rug weavers, sculptors, and wood workers. He creates wearable art for the body with gold, silver, and precious and semiprecious stones, as well as unconventional materials, such as steel and aluminum. 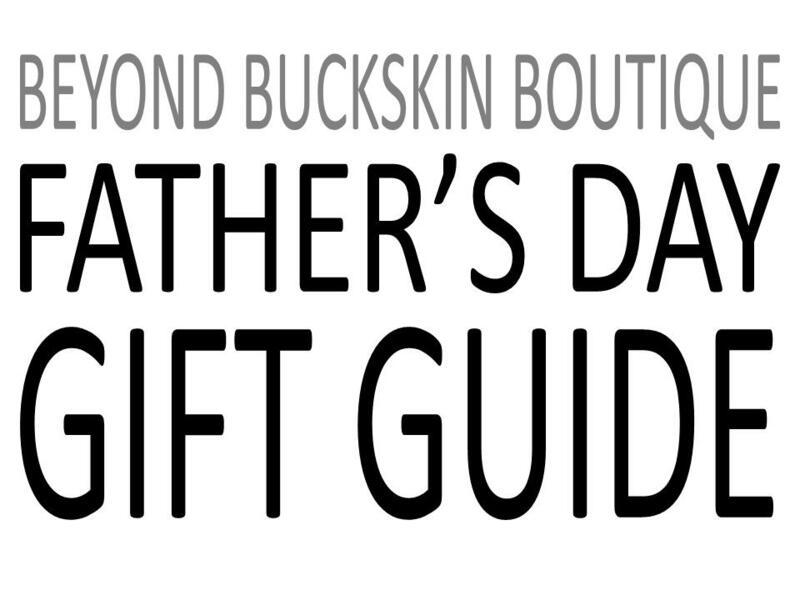 For the Beyond Buckskin Boutique, Gaussoin brings us a collection of accessories cut from diamond plated aluminum. Diamond plate is often used on stairs and catwalks in industrial settings (the added texture reduces the risk of slipping), but it is also used on the interior of ambulances and on the sides of firetrucks. While Gaussoin references the street, his limited edition pieces are both cool and high quality. 8. Haudenasaunee Shades, by Tammy Beauvais (Mohawk), $40. 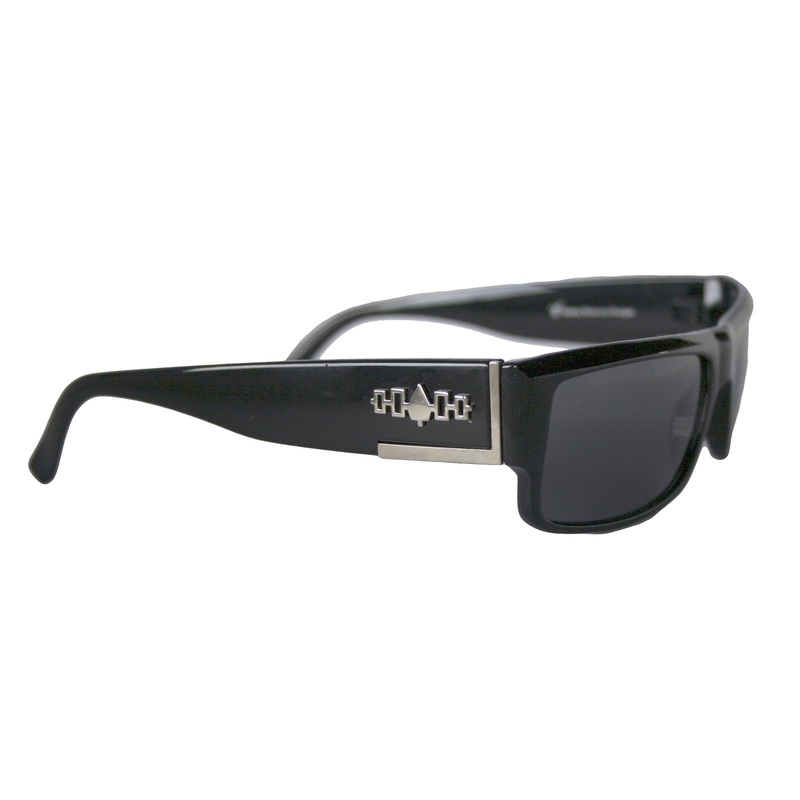 These cool sunglasses are designed by Tammy Beauvais (Mohawk Nation). On each side of the sunglasses is a small silver detail representation of the "Hiawatha Belt": a wampum belt symbolizing the peace agreement between five of the nations and the founding of the Iroquois Confederacy. 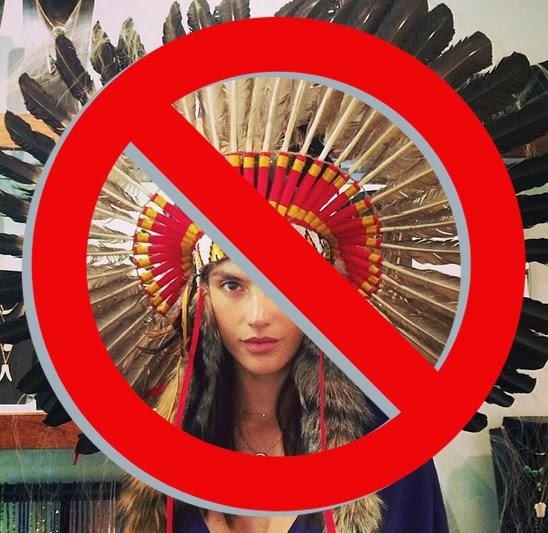 Beauvais opened her first fashion design company, Tammy Beauvais Designs, in Kahnawake, Quebec in January 1999. Her work has been greatly influenced by her families connection to the Longhouse, where traditional ways of life, customs and culture have never been broken.